The most salient point in all of the below: This manipulation can’t last. It will end. And as frustrating as it can be to not know when that will happen, knowing it will is a greater part of the battle. 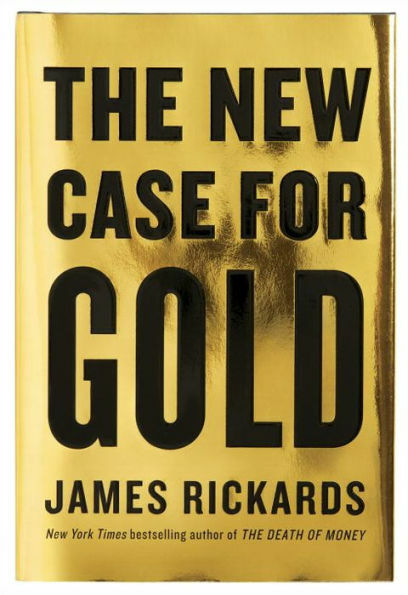 A 15-page excerpt from James Rickards’ new book The New Case for Gold, which goes into detail about the gold market’s price manipulation, can be found here. It can be done by what gold market observers like to call "banging the close" in the Comex futures market, where there is huge leverage in trading and little transparency for buyers and sellers. Big banks that are "authorized participants" in the gold exchange-traded fund GLD can use their exclusive access to the fund's metal for market rigging. Gold from the U.S. gold reserve and the gold reserves of other countries may be leased, leveraged, or sold. Leasing of unallocated gold -- that is, paper gold, gold credits, imaginary gold -- by bullion banks allows them to sell the same gold as much as 10 times over to 10 different buyers. "A central bank," Rickards writes, "can lease gold to one of the London Bullion Market Association banks, which include large players like Goldman Sachs, Citibank, JPMorgan Chase, and HSBC. Gold leasing is often conducted through an unaccountable intermediary called the Bank for International Settlements. The BIS is the most nontransparent institution in the world. ... The BIS is the ideal venue for central banks to manipulate the global financial markets, including gold, with complete nontransparency." The United States and China share an interest in suppressing the gold price in the short term. The Federal Reserve, Rickards maintains, doesn't so much mind an orderly rise in the gold price but fears sharp and sudden rises that could change inflationary expectations in the markets. Rickards concedes that ordinary investors cannot beat central bank manipulation of the gold market in the short run but contends that central banks will fail in the long run. Eventually, he writes, citing examples from history, "the manipulators run out of physical gold or a change in inflation expectations leads to price surges even governments cannot control. There is an endgame. ... Physical gold is also rapidly disappearing as more countries are buying it up. That puts a limit on the amount of paper gold transactions that can be implemented." Rickards advises investors: "It's important to understand the dynamics behind gold pricing. You need to understand how the manipulation works, what the endgame is, and what the physical supply-demand picture looks like. Understanding these dynamics lets you see the endgame more clearly and supports the rationale for owning gold even when short-term price movements are adverse."